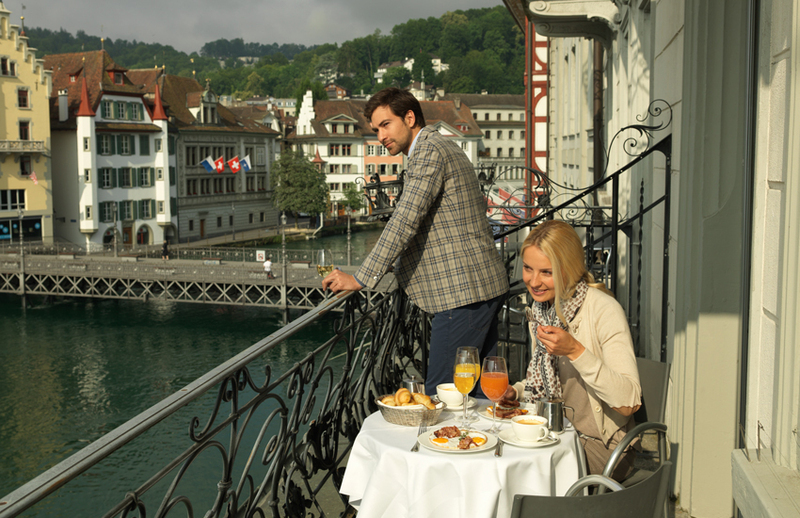 The Lucerne Hotel des Balances offers 5 spacious and elegant junior suites with balconies. 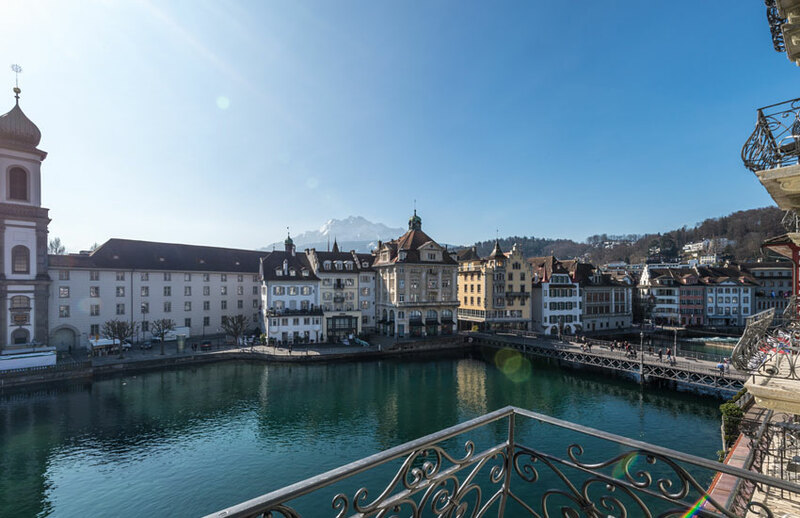 You stay in the center of Lucerne, with the view to the Reuss river and the unique Alpine panorama. All rooms are equipped with modern communication facilities. Bathrooms include bath / WC and in most cases a shower as well. A cozy sitting area with a table and chairs invites you to relax. After renovation at the beginning of 2008 all our rooms and suites are non smoking. 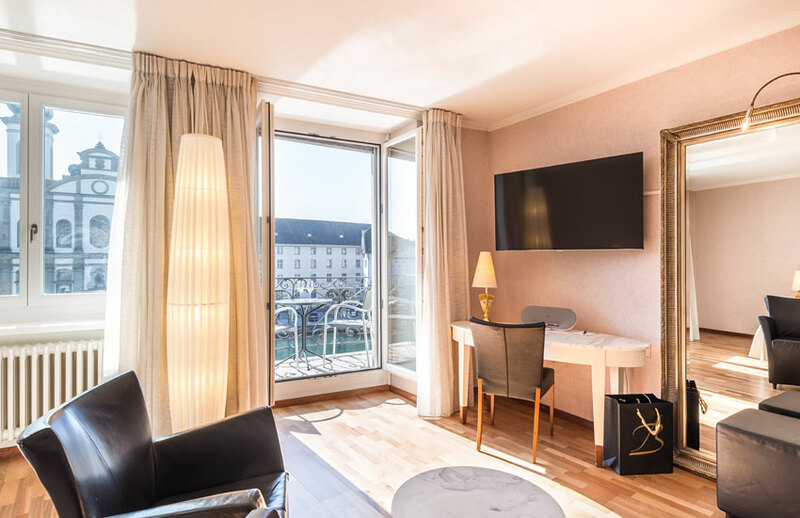 You stay in one of the 4 luxurious suites in the center of Lucerne, with the view to the Reuss and the unique Alpine panorama. 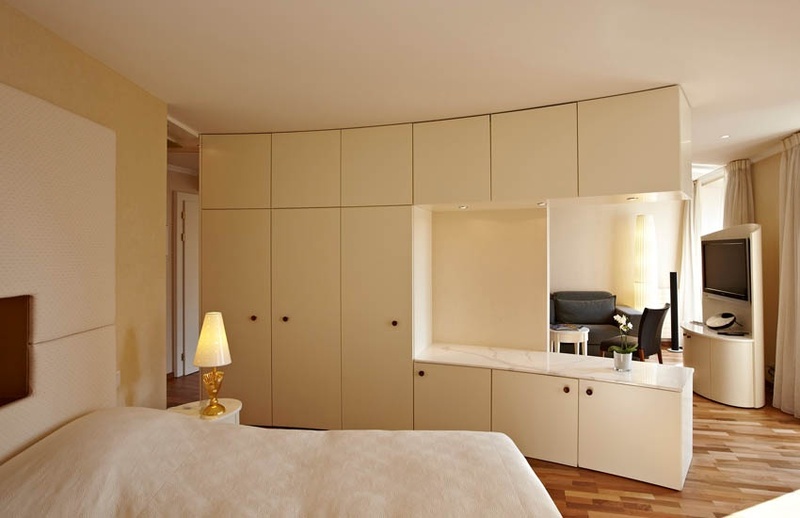 Our elegant suites offer modern communication facilities and consist of 2 rooms: living room and bedroom. All suites are equipped with a whirlpool, some of them also have a steam shower and an infrared sauna. 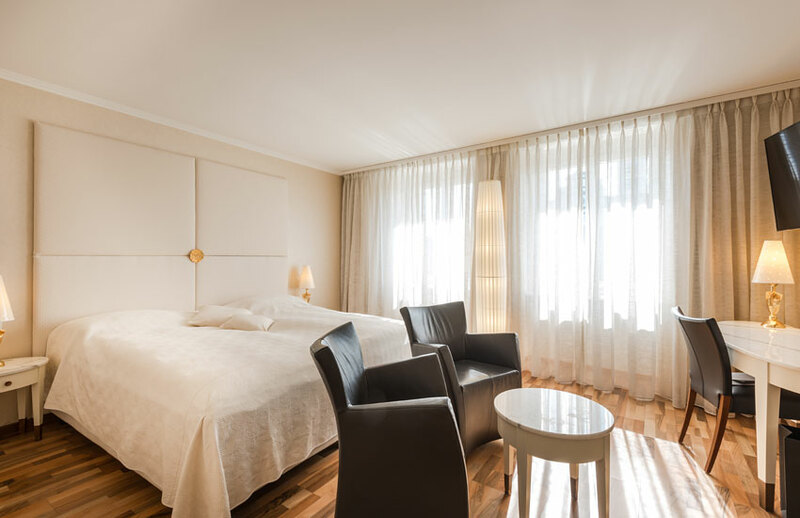 Our spacious double rooms are elegant, stylish and provide you with modern communication facilities. Bathrooms include a bath, toilet and in most cases a shower as well. 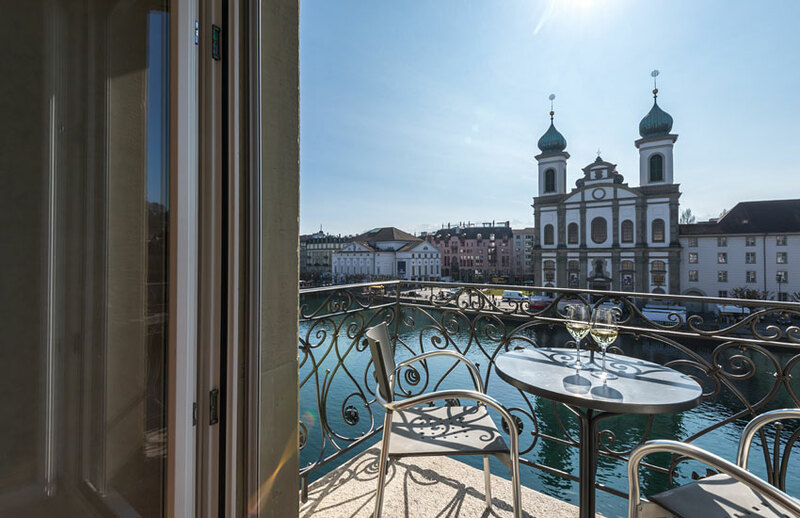 You stay in the heart of Lucerne, with the view to the Reuss river or to the old town. A cozy sitting area with a table and chairs invites you to relax. 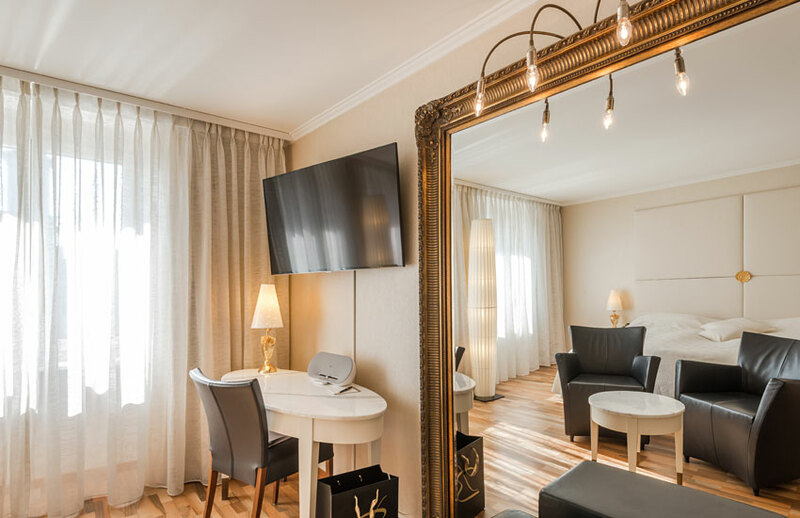 Our comfortable double rooms for single use are decorated in understated elegance and provide you with up to date communication facilities. Beautiful bathrooms are equipped with a bath, toilet and in most cases a shower as well. 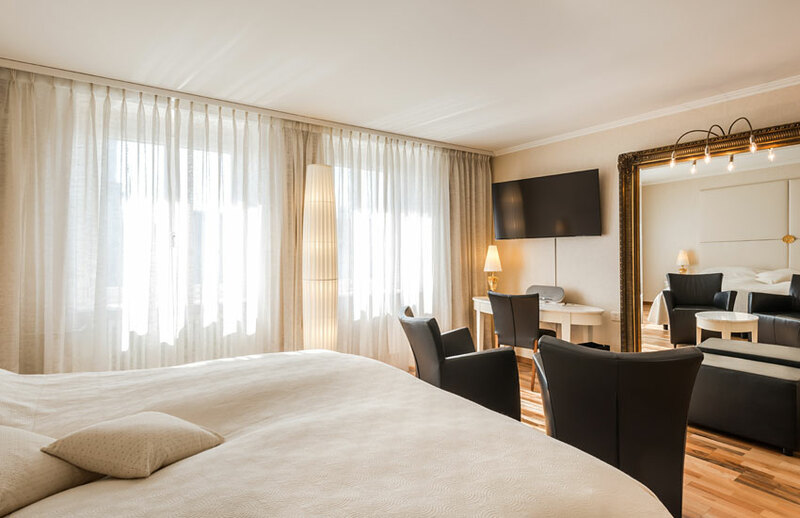 You stay in the center of Lucerne, with the view to the old town or to the Reuss river. A cozy sitting area with a table and chairs invites you to relax.